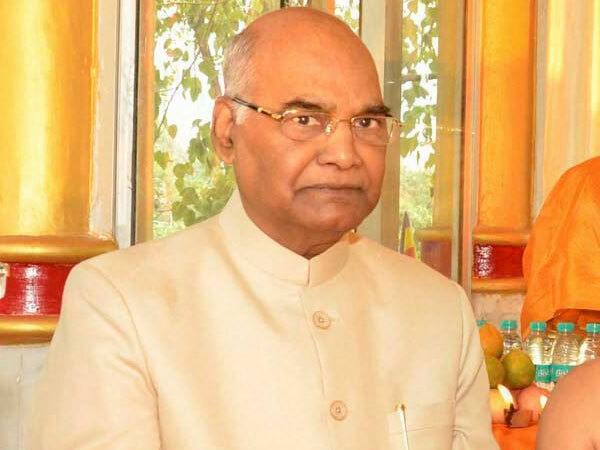 File picture of President of India Ram Nath Kovind. The Montfort Centre for Education of Tura, Meghalaya which has been imparting excellent education to the disabled students of the state will be presented with the National Award by Government of India in recognition of its services on Monday. The award will be presented by President Ram Nath Kovind at Vigyan Bhawan in New Delhi on the occasion of World Disabled Day. The school was founded by Rev. Bro. Thomas More in the year 1995. It was set up with the purpose of providing integrated and inclusive education to children who are blind, deaf, mentally challenged, orthopaedically handicapped and slow learners to make them a contributing member of the society. It is a co-educational English medium minority Christian Educational Institution owned and run by the Society of the Montfort Brothers of St. Gabriel, Province of North-East India. The school is recognised by the Government of Meghalaya and is affiliated to Meghalaya Board of School Education (MBOSE). The school educates disabled children from classes KG to XII and the training is imparted by specially trained teachers. Apart from regular school courses, it provides technical education, education for the visual and hearing impaired children and also for the physically and mentally challenged. Montfort Centre for Education imparts Bachelor of Education (B Ed) degrees and diplomas to students willing to pursue career in providing service to disabled students, reports Shillong News. The educational institution also has separate hostels for disabled boys and girls and also for male and female students pursuing their degree education at the institute.